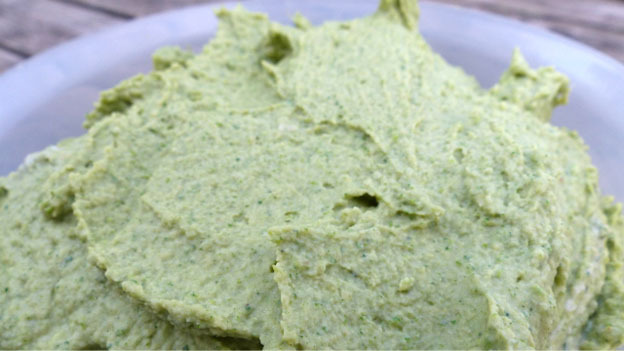 This hummus is a healthy dip that will have your family wanting more. First, bring a pot of water to a boil then place the nettles in it for 30 seconds. Drain (keep the fluid for tea should you desire), and set aside. Add olive oil, and spices. Process for 30 seconds; scrape sides and bottom of processing bowl then process another 30 seconds. Add half of the chickpeas to the food processor, process for 1 minute. Scrape sides and bottom of bowl, add remaining chickpeas and process for 1 to 2 minutes or until thick and smooth. Add in the stinging nettle and process 20 seconds.